The last mile is the most expensive and least efficient segment in supply chain management. It currently accounts for 28% of total delivery costs, and the increasing demand for next-day and same-day deliveries is making last mile delivery even more challenging. But, why is final mile delivery inefficient? Well, it might be due to the difficulty in executing a profitable routing plan to regions with low consumer density, which increases the travel time and expenses. Or the multi-drop loads that leave vehicles running empty on their return to the depot. Of course, urban areas experience slower delivery times due to increased congestion. These factors are compounded when consumer deliveries fail due to recipients being absent which results in additional expenses in terms of the time and distance traveled. Last mile logistics costs further skyrocket when delivering goods that need specialized handling, treatment, and security, such as those requiring refrigeration. Such goods fall into the attended delivery category, comprising the largest number of delivery attempts. So, how can you reduce failed deliveries and increase first-time success in last mile shipping? Simply follow these five tips. Rather than opting for manual route planning, go for dynamic scheduling. Routes planned using pen and paper are often inaccurate and poorly-optimized. And, poor routes mean delayed deliveries, extra expenses, and irate customers. A route planner comes with an advanced algorithm designed for optimizing the last mile. The algorithm outlines the best possible routes so you can cut out unprofitable routes. A route planner also calculates the most effective pickup and delivery sequences with exact journey times and assigns loads to drivers and vehicles in only 30 seconds. Long story short, transitioning to a business mapping software can lead to improved fleet usage, minimal total mileage incurred, and reduced empty running. Even if you plan excellent routes, your efforts will go in vain if drivers don’t follow the directions. For example, the drivers might take longer lunch breaks or make unplanned stops. This will inevitably delay the delivery timeline, increasing the number of failed deliveries. So, vehicle tracking is just as important as route optimization and a GPS telematics app is a useful solution. A vehicle GPS tracker allows you to monitor your drivers’ activities on the road in real time, ensuring that deliveries are progressing on schedule. A GPS tracker also allows you to pick out the sour apples from the batch, identifying the patterns of inefficient drivers who are often late, drive erratically or don’t follow the provided route. The device can even help manage unseen obstacles to avoid delays. So, if a vehicle breaks down, you’ll know about it as it unfolds and can send immediate roadside assistance. Furthermore, if a driver is speeding, you can tell him or her, in real time, to slow down to avoid the possibility of a road accident. It’s best to use a driving route planner that includes GPS tracking capability. This would provide both the vehicle tracking and route optimization functionalities in one tool and will greatly reduce the costs, while avoiding the hassles of managing multiple software systems. Customer needs can change at a moment’s notice. Such changes could include the drop off location and delivery time. Customers can even cancel their orders entirely. These dynamic requirements can increase the number of failed deliveries if you don’t have a system in place to manage them. So, consider a road trip planner that helps you re-optimize routes as and when you need to add or change a route. A route planner factors in the delivery areas, available resources, and existing confirmed deliveries, re-evaluating possible delivery times for new orders within the requested time frame. It does the planning-ahead so you’ll be ready for any changing requirements. If customers know where their orders are, they’ll be more promptly available to receive them. That’s another way to cut return rates and a route planner can help here. 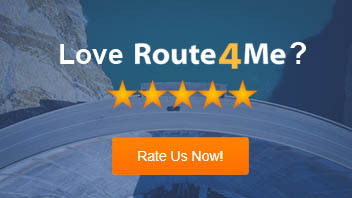 For example, Route4Me’s fleet management software comes with a customer portal feature that allows your customers to access the software (using a tracking number or their Account ID) to monitor the status of their inbound visit. You can even set access restrictions, depending on how much information you want to reveal regarding the visit, including custom fields, driver identities, and estimated arrival times. This will eliminate a great deal of time and effort spent on low-value activities, such as customer service, track-and-trace, and keeping customers up to date with the status of their inbound visits. You can also increase your volume of customers, without struggling to meet the administrative and customer service demands. Another way to improve first-time delivery success is to allow your customers to choose their preferred delivery windows. This will enable them to ensure that somebody will be at the drop off location before placing the order. You can display a range of time windows on your website at the point of purchase. But, rather present as many narrow time slots as possible. Ultimately, fulfilling a delivery as per the customer’s specified time and location is the most cost-efficient way to run field operations. 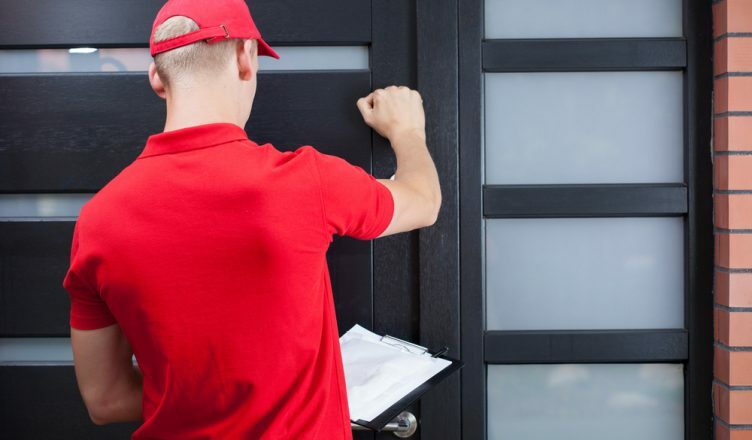 So, how do you improve first-time door opens for last mile delivery? How can tracking devices help you improve first-time door opens? How can a road trip planner optimize last mile delivery?